The other day I accidentally left a candle burning and I left my apartment for several hours. When I got back, there was such a delightful odour in the apartment and thankfully (and more importantly,) the place hadn’t burned down. My boyfriend said to me: “You scare me sometimes;” words I’ve only ever heard uttered to people losing their marbles. Am I losing my marbles, maybe? 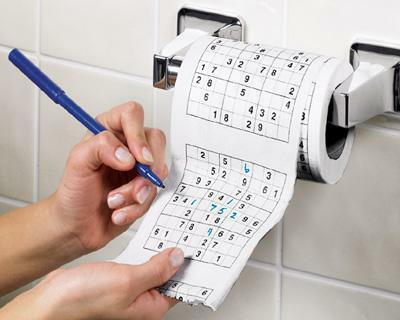 Note to self: Work out the ol’ brain more with daily sudoku.